11And there appeared unto him an angel of the Lord standing on the right side of the altar of incense. 12And when Zacharias saw him, he was troubled, and fear fell upon him. 13But the angel said unto him, Fear not, Zacharias: for thy prayer is heard; and thy wife Elisabeth shall bear thee a son, and thou shalt call his name John. 14And thou shalt have joy and gladness; and many shall rejoice at his birth. 15For he shall be great in the sight of the Lord, and shall drink neither wine nor strong drink; and he shall be filled with the Holy Ghost, even from his mother’s womb. 16And many of the children of Israel shall he turn to the Lord their God. 17And he shall go before him in the spirit and power of Elias, to turn the hearts of the fathers to the children, and the disobedient to the wisdom of the just; to make ready a people prepared for the Lord. As we pick up the theme of Part 1 (Eastern Light through the tabernacle) of this study, we can see the Eastern light shining through the Tabernacle, from the Altar of Burnt Offerings in the outer court, to the Altar of Incense in the Holy Place, reaching the holiest of all in the Ark of the Covenant. Notably, the appearance of the Archangel Gabriel to Zacharias occurred during the time of the burning of incense in the Temple service, because Gabriel was seen standing at the right side of the altar of Incense. This location is special when we consider that Gabriel, the only angel recorded to enter the Tabernacle, announced the birth of John, who was the embodiment of this altar as the last prophet of the Old Testament. 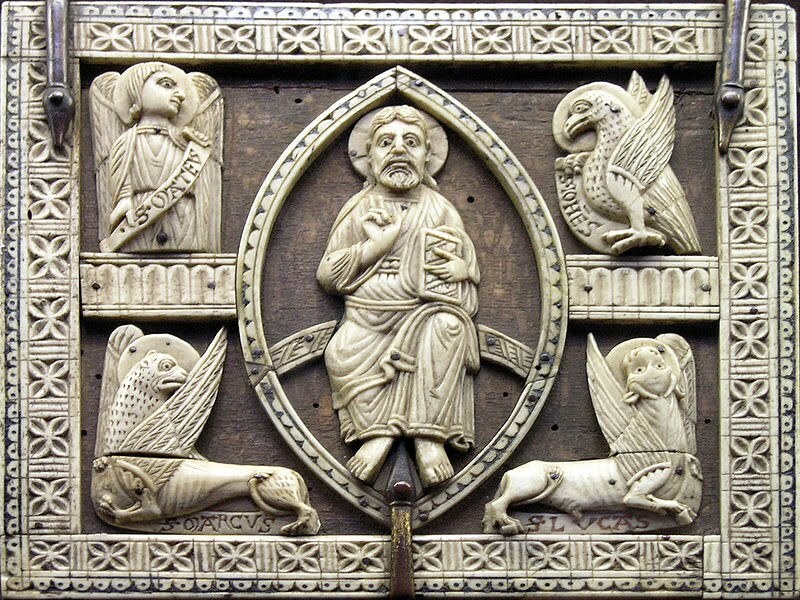 Even as this altar of incense lead from the east, to the Ark of the Covenant in the holiest of all, so the transitional ministry of John the Baptist would lead unto Christ. Even as the altar of incense would prepare the pilgrim for his offerings to the Heavenly Father, whose dwelling among His people was signified in the holy of the holies, so John would; “make ready a people prepared for the Lord.” This sheds more light on the geometric structure of these two altars in the ground plan of the Hebrew Tabernacle and Temple as it is fulfilled in the New Testament. There is also an application to Jesus’ statement in Matt. 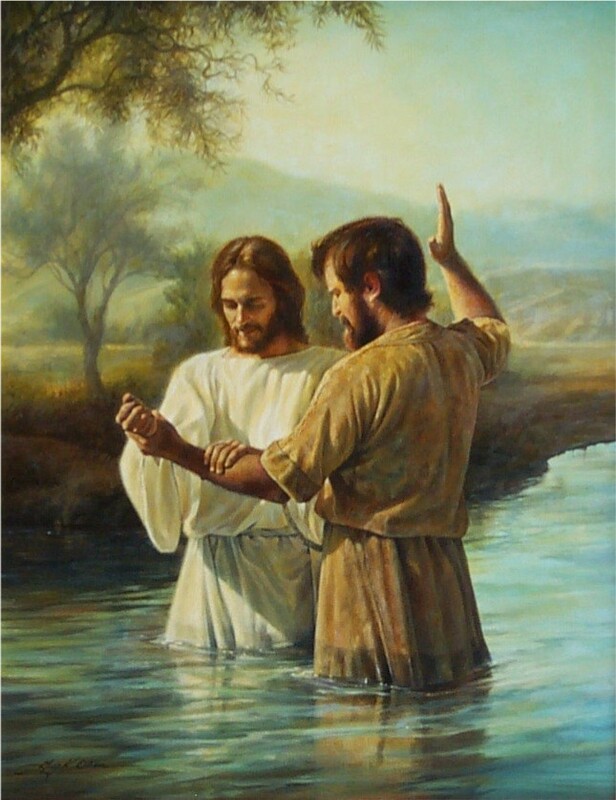 3:15 when he told John, while baptizing Jesus, this anointing would serve them so that they both could fulfill all righteousness together. With the water baptism administered by John as the anointing of Jesus, the Old Testament Temple hierarchy of priests was spiritually superseded with the arrival of the heir apparent to the High Priest. Jesus,’ whose coming was after the Order of Melchisedek, a priesthood not based on the sacrifice of bulls and goats, but the sinless body and perfect blood of Christ himself-the Passover lamb of God. These events leading to the opening of Christ’s ministry to Israel, and perfect sacrifice for mankind, shed added light for us today, as we ready ourselves, a people prepared for the Second Coming of the Lord Jesus Christ. As we consider this material in light of end times prophecy, specifically the Blood Moon Tetrad of 2014-2015, and the heavenly signs surrounding the return of the Lord Jesus Christ, let’s look at 2 Chronicles to understand more about the east-west axis line in the Hebrew Tabernacle and Temple. 11 And it came to pass, when the priests were come out of the holy place: (for all the priests that were present were sanctified, and did not then wait by course: 12 Also the Levites which were the singers, all of them of Asaph, of Heman, of Jeduthun, with their sons and their brethren, being arrayed in white linen, having cymbals and psalteries and harps, stood at the east end of the altar, and with them an hundred and twenty priests sounding with trumpets: 13 It came even to pass, as the trumpeters and singers were as one, to make one sound to be heard in praising and thanking the LORD; and when they lifted up their voice with the trumpets and cymbals and instruments of music and praised the LORD saying, For He is good; for His mercy endureth forever: that then the house was filled with a cloud, even the house of the LORD; 14So that the priests could not stand to minister by reason of the cloud: for the glory of the LORD had filled the house of God. With the victorious Second Coming of the Lord Jesus Christ foretold in the current Blood Moon Tetrad of 2014-2015, we will see the Church of the Body of Christ, unified in Praise of God’s Glory as never before, even as the Priests, Levites and singers were unified as one in their musical praise of the Lord. These 120 priests sounded their trumpets, on the occasion of the transfer of the Ark of the Covenant from the Hebrew Tabernacle to the Temple during the holiest 7th month of the Feast of Tabernacles. During this Jubilee year of 2015, a Partial Lunar eclipse marks the Day of Trumpets, and the final Blood Moon of the 2015 Blood Moon Tetrad marks the Feast of Tabernacles. This terrestrial arrangement mirrors the Venn Diagram at the North Astronomical pole, [Figure B.]. These two altars depict the bipolar structure of the heavens, seen not only in the galactic poles of the two great celestial circles of the ecliptic and the Equator in northern skies, but also in their reflection in the Earth’s magnetic and geographic bipolar system. Within the common space shared between the poles of these two circles moving in opposite directions, lies the astronomical pole or Venn Diagram of the North Pole. 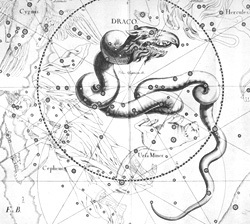 The interplay between these galactic poles exhibits a precession of the poles, where the pole star has receded from Thuban of Draco, to Polaris of Ursa Minor, over the last five thousand years, as depicted above in Figure B. This gives us a deeper view of the precession of the poles, as the equatorial pole shifted from Thuban of Draco to Polaris of Ursa Minor over the past 5000 years, fulfilling the promise of the coming redeemer as the current pole star Polaris resides under the feet of Cepheus the Crowned King, [Eph. 1:20-22]. This celestial image of the King of kings enthroned in the Northern skies is realized and fulfilled in the victorious Second Coming of the Lord Christ Jesus. 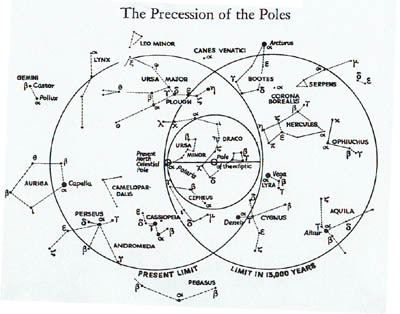 The graphic below shows another view of the precession of the poles from the perspective of the interlocking wheels of the ecliptic and Equator, with the fish shaped lozenge of the vesica between them. This “vessel of the fish” is formed from the lozenge of these two interlocking circles, the center of each located on the perimeter of the other. Archimedes called the formula linked with this, the “Measure of the fish.” Its import to math and geometry was found in the ratio of its height to its length [153:265], and it’s representation of the nearest whole number approximation of the square root of 3, along with the controlling ratio of equilateral triangles.11 . As a principle of terrestrial life, the inter-locking circles of this Venn Diagram represent “growth by division” as seen on the cellular level, when cells reproduce by splitting. The common area, of these two circles form a lozenge in the shape of a fish; -[icthus] whose top and bottom are formed at the intersection points of these two circles. A Straight line connecting these two points forms a base line for two equilateral triangles contained within the two circles. The formation of this line serves as the “controlling ratio of the equilateral triangles,” since it sets the standard equal measure of all 3 lines in the triangle. This provides a basis from which we can explore genuine aspects of the Creator’s application of mathematics and geometry in His structure and order the Biblical Astronomy of Creation, according to the ruling base 60 standard of the precession of the equinoxes. 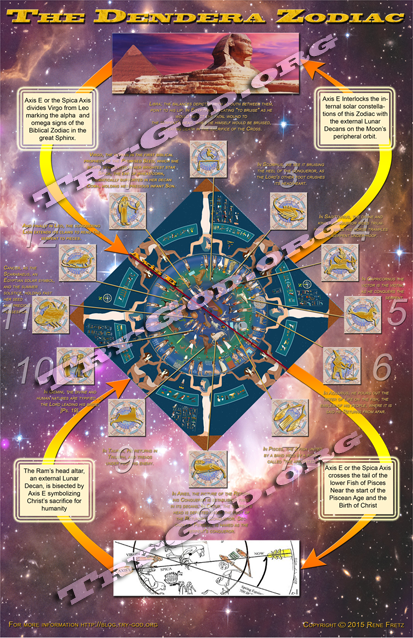 The divine standard of geometry will differ widely from what has occurred with past associations in the mythology and mysticism of “sacred geometry,” or branches of secular mathematics, since it encompasses concepts outside of these realms. This view powerfully depicts how the Hebrew Tabernacle and Temple symbolize God’s structural design of the heavens, seen in their two altars, mirroring the two poles of the Northern Polar regions in the ecliptic and the Celestial Equator. This also agrees with many of the principles of the pattern of God’s Intelligent Design inherent in His Creation. 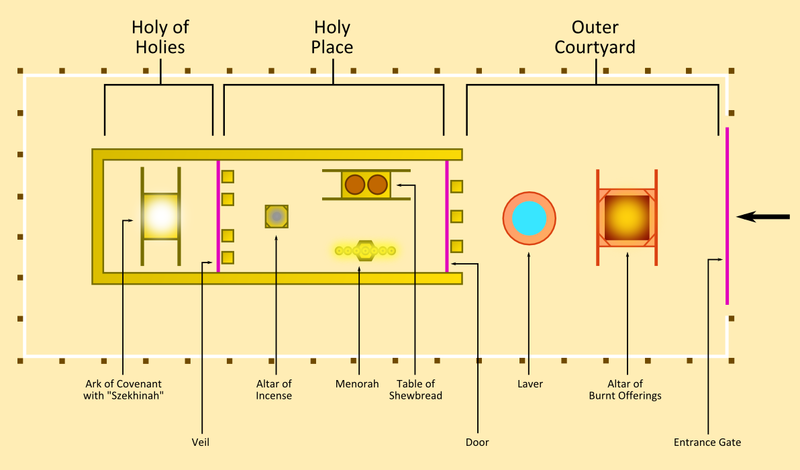 Since the “pattern of the Tabernacle” contains the phi ratio also known as the “divine proportion” or the golden section we can see definitive Biblical evidence of a universally recognized standard of measure, as truly divine in origin, since the dimensions of these sacred architectural structures were given by revelation from God to Moses and King David. This idea is established in the truth that the Ark of the Covenant itself was also built on this same double square [1×2 rectangle] pattern of the Tabernacle based on the phi ratio; [Ex. 25:10] also found in the dimensions of the King’s Chamber of the Great Pyramid. The graphic above of the Northern Astronomical Pole depicts how the dynamic celestial equator, the second circle secular in nature, relates to both the civil calendar year and the earthly Equator as it is mirrored above into the heavens. The movement of this equatorial pole around the static pole of the ecliptic is what is known as the precession of the poles. The intersection points of the ecliptic and the Celestial Equator are called the equinoctial points, which we know as the equinox of the Spring and Fall, the opening seasonal days when the length of daylight is equal to the dark of night. On March 20th/Nisan 1 in this Jubilee year of 2015, the Spring Equinox is marked by a Total Solar eclipse dividing the Blood Moon Tetrad of 2014-2015. Thus the dawning light of the Sonrise of the Ages on this east-west axis line through the Hebrew Tabernacle and Temple, is being highlighted for us by these heavenly signs from the Hand of the Almighty, as never before. 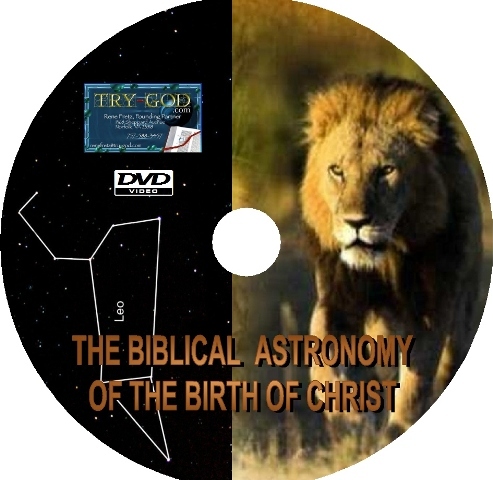 A goal of Biblical Archaeo-Astronomy is to adopt a fresh view of the archaeology of Biblical artifacts like the Hebrew Tabernacle and Temple, viewed through the principles of Biblical Astronomy. This allows us to glimpse new glories long hidden from the astrologers, empiricists, and naysayers, whose practices for too long have clouded the inherent grandeur of the Creator’s sacred architecture. The Biblical Astronomy of the sacred architecture of the Hebrew Tabernacle and Temple are the divine cornerstones supporting the foundational superstructure which encompasses the Heavens and Earth. By liberating these divine blueprints of the Hebrew Tabernacle and Temple from secular orientations that distort its original divine purity, new light can be shed upon the true Godly design and purpose hidden in these divine architectural plans. By allowing God’s Word to speak for itself in this important area, we introduce a fresh perspective to the field of Archaeo-Astronomy, emphasizing the liberating power of adopting a genuine Biblical perspective in this meaningful and comprehensive field of research. The altar of Incense before the veil into the Holy of Holies, keeping the Ark of the Covenant is represented in the sacred pole of the ecliptic, around which the equatorial pole moves, both wheels, inter-locked in a Venn Diagram. In the Old Testament, The pillar of Fire by Night and Cloud by day, protected God’s people lighting their way through the darkness of this world. God’s personal presence was only accessible annually as the people obeyed the guidelines of the O.T. Law carried out by the High Priest, to cover their sins. The pattern of access from the east mentioned above, holds true not only for Solomon’s Temple of the Old Testament, but also remained for the rebuilt Temple referred to in Ezekiel 43, below. Let’s take a detailed look at how the Second Coming of Christ integrates this theme of eastern access in the Hebrew Tabernacle and Temple. Afterward he brought me to the gate, even the gate that looks toward the east:  And, behold, the glory of the God of Israel came from the way of the east: and his voice was like a noise of many waters: and the earth shined with his glory. And it was according to the appearance of the vision which I saw, even according to the vision that I saw when I came to destroy the city: and the visions were like the vision that I saw by the river Chebar; and I fell upon my face. And the glory of the Lord came into the house by the way of the gate whose prospect is toward the east. So the spirit took me up, and brought me into the inner court; and, behold, the glory of the Lord filled the house. Like the eastern shepherd, Jesus Christ embodies Jehovah–Nissi: the redemptive name for God protecting His people, [Ps. 23:1]. The material presented here shows us a direct Biblical correlation, and a celestial reflection of the two altars of the Hebrew Tabernacle and Temple, illustrating the bipolar structure of the Earth as it mirrors the galactic poles of the two great celestial circles of the ecliptic and the Equator in northern skies. The symbolism of the circle is heavenly, while the symbolism of the square is Earthly. 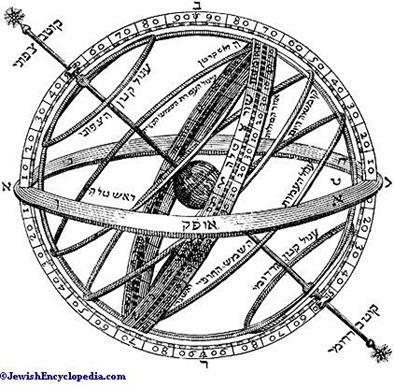 When we overlay the celestial double circle of the galactic North Pole on the terrestrial double square of the Tabernacle’s layout, the 1 x 2 rectangle forming the midst of the Tabernacle’s court, conforms to the common area of the North polar Venn Diagram between these overlapping celestial circles. 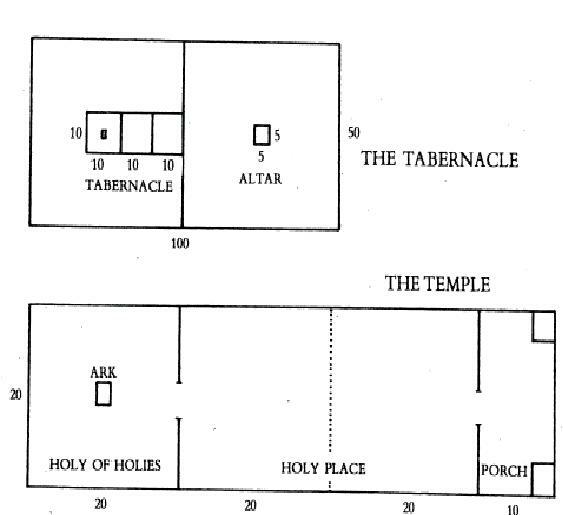 This depicts the Creator’s original plan of His Creation reflected on both the macro and micro levels, as seen in the blueprints of the Temple and the “pattern of theTabernacle” [Heb. 8:5, Exod. 25:9, 40] Only the true Creator could give the details of this Intelligently Designed Plan with such accuracy. Only the Almighty God is able to account for the work of His Hands with such a panoramic vista, encompassing everything from the largest to the smallest scale of Life in Creation. All of this is preserved in the fullness of its inherent glory in God’s Holy Word, so that it is undeniable even for the fool. For even fools know this cannot originate by Chance, but only in the deliberate Intelligent Design and wisdom of the omnipotent foreknowledge of the Heavenly Father. On the micro level, this structure is intended to symbolize God’s chosen dwelling place in the hearts and minds of the Church in Christ, showing man as the center of and reason for Creation, and the container and reflector of the Creator’s gift of holy spirit. In this sense Christ is the perfect and ideal man the exemplar and emblem of all Creation.